Last Friday, I introduced you to Team 8 for the Cricut Design Star challenge and now I am happy to showcase some of our top projects. We may not have made it to the real TOP TEN for a chance at $1,000 big ones and a chance to be the next Cricut Design Star. But I am proud of us and think we nailed it. Go here to vote for the new shining stars of Cricut and after you do that go ahead and wish us luck for next month. AND now, the exciting news of the century. 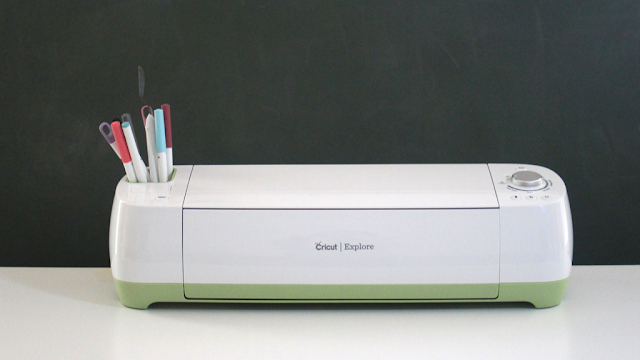 I am giving away the amazing Cricut Explore to one of you!!! You have one week to enter (contest closes on September 5th at midnight) and is open to U.S. residents only. Head over to Instagram and follow me (@cloudydaygray) and Cricut (@officialcricut). Then leave me a comment here letting me know that you entered and what your handle is so that I can verify you are playing fair. 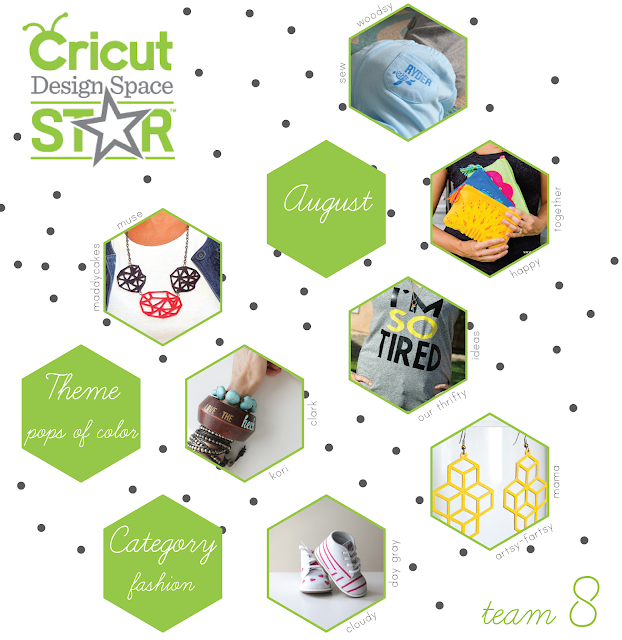 Cricut has asked a number of bloggers to enter projects with specific themes as a fun way to test out the Cricut Explore. 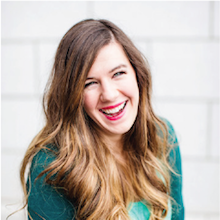 I chose to participate in this group because I honestly believe the Cricut Explore is a game changer in the world of crafting and, really, who doesn't love a little competition on the side.